Keep Suffolk Beautiful has been awarded a 30 in Thirty Grant of $1,000 in the Litter Prevention category. Their grant application proposed an innovative Library Lending Program that will allow library patrons to borrow cleanup equipment at all three libraries. A person can borrow four litter grabbers, safety vests, and bags to make cleaning up easier and more convenient. The benefit of borrowing from the library is it will enable people to access equipment when they want, and it will be available near where they live. 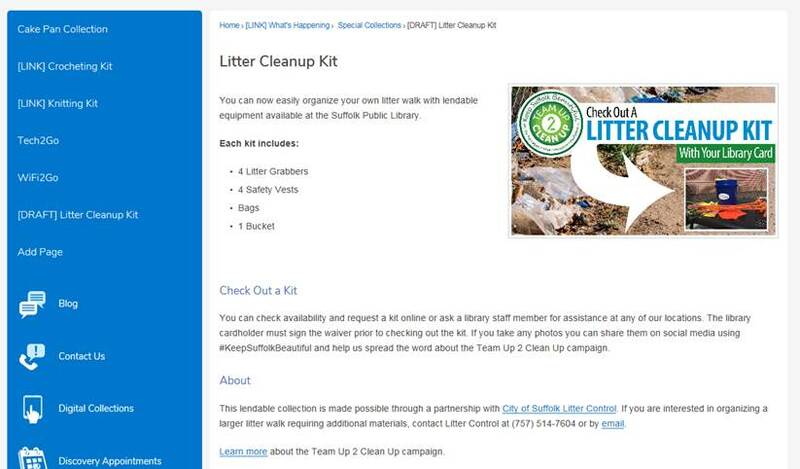 Keep Suffolk Beautiful hopes that families will take advantage of this program.